Driving got you down? Try a more sustainable way to travel, and save the hassle! I was raised in a one-car family and because of this, when I wanted to go anywhere, I took transit more often than I got a ride. It wasn’t until I moved to a smaller town that I even ended up getting my driver’s license, let alone a car. 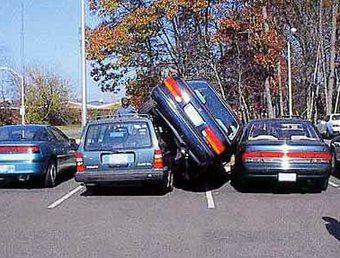 With my car, I have also encountered the frustration that every driver has: I can’t find a parking spot! I often plan my route based on parking at the other end, as well as the traffic I’ll encounter. I try to use my car as little as possible if I have an easy transit route. In some larger cities around the world, rather than increase parking (as many developers would prefer), city planners are choosing to reduce parking, replacing it with additional sustainable infrastructure, or increasing the amount that parking costs. America (large and mid-sized sedans) versus Europe (smaller hatchbacks and small cars) reflects our car culture. So what types of options do cities have to reduce the amount of cars in our downtown urban areas and increase our infrastructure? Next time you’re heading out, take a minute to think if driving is your best option. Compare the cost of taking transit to the price of gas and parking. Is there an easy transit route? How long will it take you to find a spot, and will it be closer than where transit would get you? Transit can be worry free travel. You may find that leaving the car at home is a better idea! 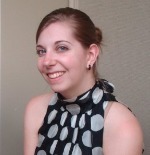 Lauren Wingham-Smith is a Municipal Peer Review Team Project Assistant with Hardy Stevenson and Associates Limited, acting on behalf of the Municipality of Port Hope. She holds a Bachelor of Engineering, specializing in Materials Science and Engineering with a minor in Economics. This multidisciplinary background allows Lauren to view both the environmental and human effects of engineering projects. She is also passionate about green innovation and design. This entry was posted in Transportation and tagged carbon emissions, planning, sustainability, transportation. Bookmark the permalink.